When the craving for Thai food hits you, it’s hard to resist! There’s something about the melange of flavors that Thai food delivers (sweet, spicy, savory and more) which keeps you coming back for more. 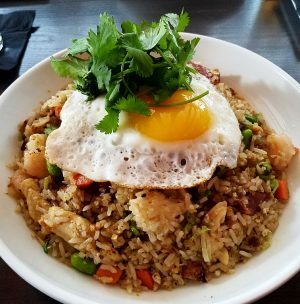 Thai eats are a little hit or miss in the Triangle so I’m always looking for a great Thai option. 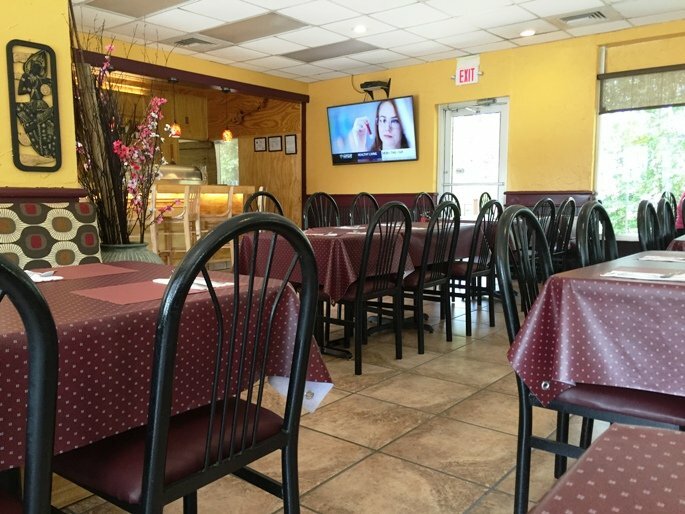 Reviews online pointed me to a new spot, Thai 55 in Durham which is conveniently l0cated near the 55/54 intersection, home for many dining options. So yeah, it was time for a visit to get my spice on! Driving by Thai 55 you’ll immediately notice the stand-along building with its bold signage. 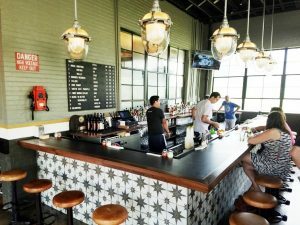 Looking like a chain restaurant conversion, the inside of Thai 55 is humble and bright. Decked out in yellow and red vinyl table cloths, I grab a seat at one end of the sunny dining room. They have a slew of lunch options which come with a salad-soup and rice for under $10. I go with the spicy catfish along with some basil rolls to explore the menu. 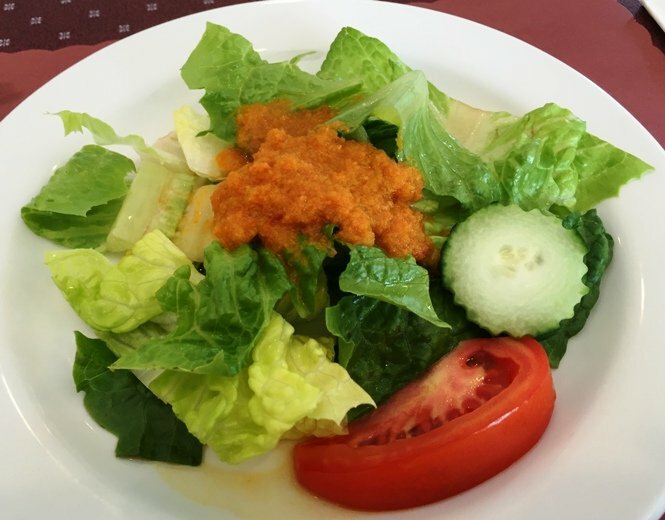 A salad with ginger dressing starts of the meal and it’s decent but nothing to write home about. 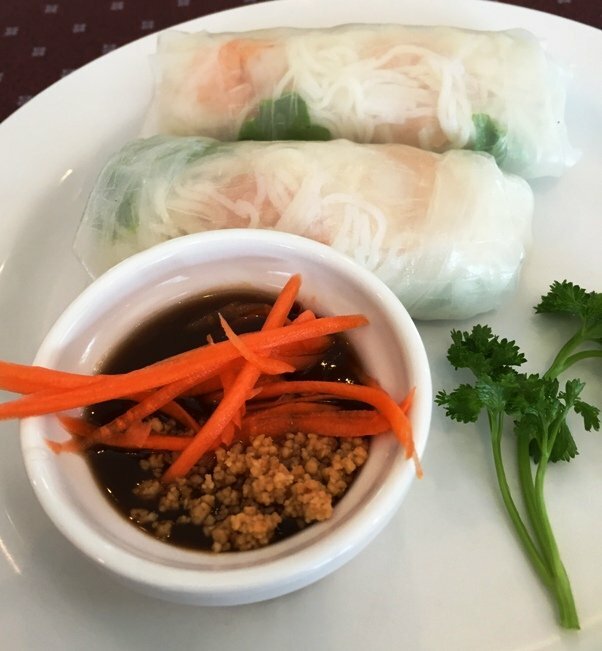 The basil rolls follow and they are similar to the Vietnamese summer rolls here. While most basil rolls I’ve had in Thai places are primarily vegetarian, Thai 55 adds shrimp and roast pork to their version which is near identical to what you’d get in a Vietnamese spot. These basil rolls at Thai 55 are a bit smallish and a bit sloppily wrapped. They used whole shrimp here (not butterflied) and the pork is inconsistent. It’s still an okay appetizer but not up to par with what I’d find elsewhere. And finally the spicy catfish! It looks great, presented on lettuce leaves, a sprinkle of thinly sliced ginger and a scoop of rice. The catfish is perfectly fried with a nice crisp coating soaking some of the spicy sauce. Well actually the sauce here is sort of spicy and a bit one-dimensional but still a tasty meal. 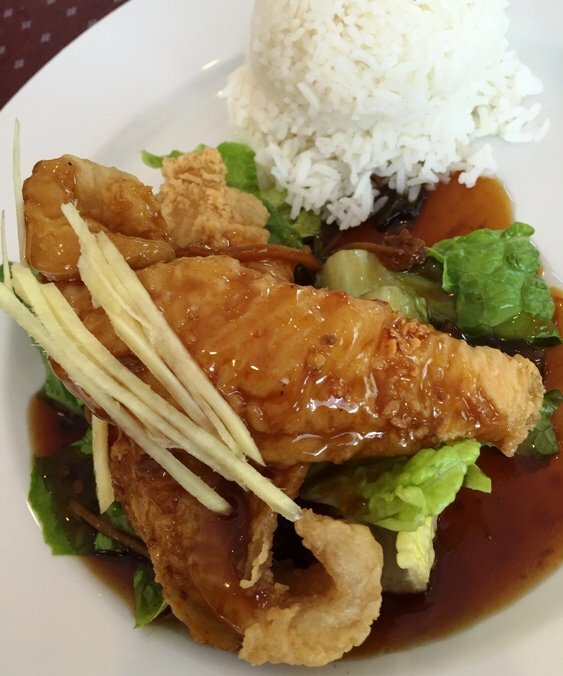 It’s a good portion size for the lunch prices so certainly Thai 55 offers up a good value. I pay my bill and head out thinking that it is nice to have Thai 55 in my hood near the office. While it’s certainly not perfect, it’s decent Thai for Durham and maybe I picked the wrong items on the menu. The menu has plenty of options (including sushi), service was good and the setting is perfectly fine for lunch. It might be a bit casual for dinner here. But I certainly think that Thai 55 is worth another visit before a final verdict. 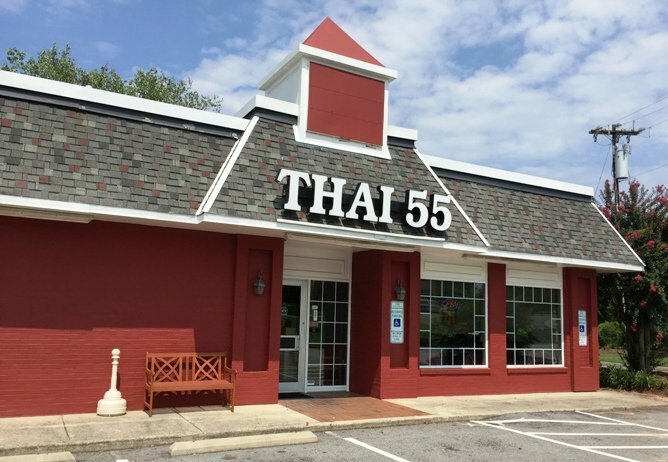 So 3.5 stars for Thai 55 right now, let’s see what visit #2 turns up! 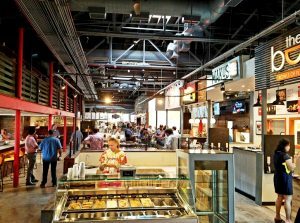 This place is pretty consistent and most of the food is very good. They grow some of their ingredients next to the building ! The roast chicken seems to be the most popular menu offering, but the curries are tasty too.